(Phys.org)—A small team of researchers with Durham University, the Museum of London and the British Geological Survey has tentatively established that two skeletons found in a Roman-era grave in London are of Asian origin. In their paper published in the Journal of Archaeological Science, the team describes the skeletons, the tests they conducted on them and why they believe they may be of Asian origin. Prior to this latest find, only one instance of the remains of a person from Asia has ever been found in a Roman era gravesite, suggesting there was little to no immigration between people in Asia and Europe during the Roman Empire, despite the existence of the Silk Road. The prior find was a skeleton of a man of East Asian ancestry discovered in a grave in Vagnari in Italy six years ago—and unlike the tests done with the newly found skeletons, his ancestry was proven by DNA testing. In this new finding, the two skeletons were part of a group of 22 skeletal remains found buried in an ancient Roman grave in Southwark, a London borough. The bones have been dated back to a period between the second and fourth centuries, a time during which the Roman Empire was still going strong. 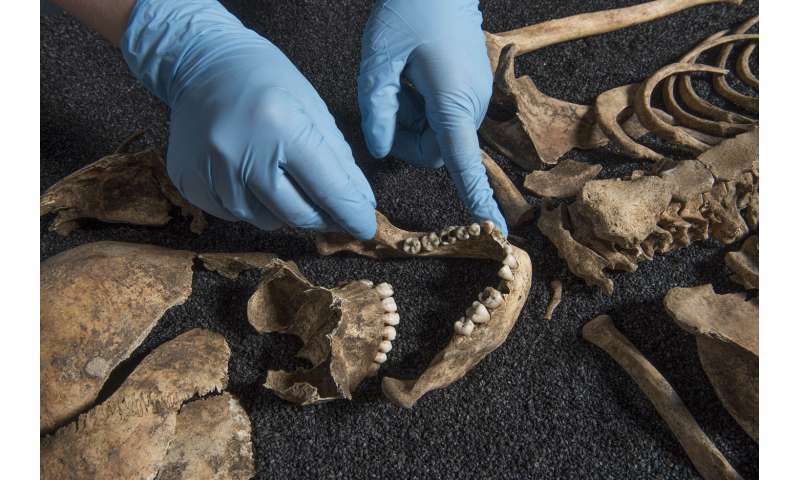 The researchers have thus far analyzed oxygen isotopes from the teeth and carbon and nitrogen isotopes from the bones—doing so has helped to reveal the eating and drinking habits of the people buried there, which showed that many of them were from places other than London. They also conducted statistical modeling of the skulls and teeth—differences have been attributed to people of different ancestries. It is the same technology used by forensic experts to establish the ancestry of decomposed skeletal remains. It was this testing that suggested that two of the skeletons were likely of Asian descent—and that four others were likely of North African descent. The researchers acknowledge that the method is not nearly as clear-cut as DNA testing, and in this case, it was even less so because many of the bones used in the analysis were fragmented. To actually prove that the bones had Asian ancestry, they will have to find some DNA to test. 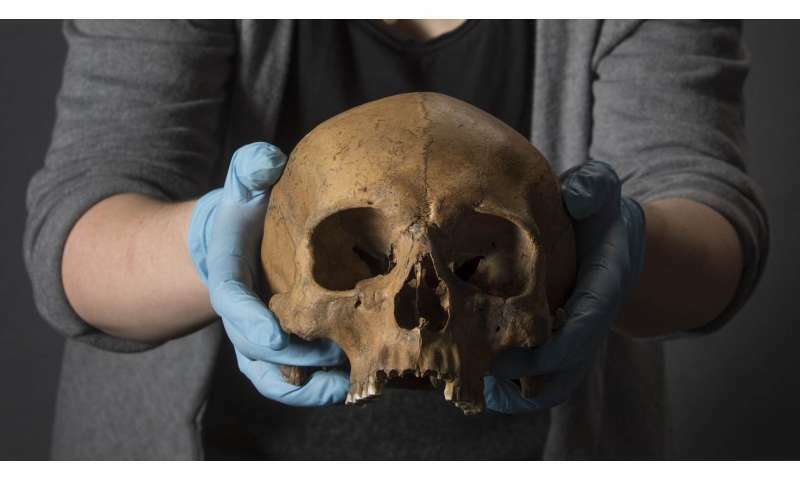 This study investigated the ancestry, childhood residency and diet of 22 individuals buried at an A.D. 2nd and 4th century cemetery at Lant Street, in the southern burial area of Roman London. The possible presence of migrants was investigated using macromorphoscopics to assess ancestry, carbon and nitrogen isotopes to study diet, and oxygen isotopes to examine migration. Diets were found to be primarily C3-based with limited input of aquatic resources, in contrast to some other populations in Roman Britain and proximity to the River Thames. The skeletal morphology showed the likely African ancestry of four individuals, and Asian ancestry of two individuals, with oxygen isotopes indicating a circum-Mediterranean origin for five individuals. Our data suggests that the population of the southern suburb had an ongoing connection with immigrants, especially those from the southern Mediterranean.